In the fame-obsessed world of Los Angeles, a group of teenagers take us on a thrilling and disturbing crime-spree in the Hollywood Hills. Based on true events, the group, who were fixated on the glamorous life, tracked their celebrity targets online and stole more than $3 million in luxury goods from their homes. Their victims included Paris Hilton, Orlando Bloom and Rachel Bilson. 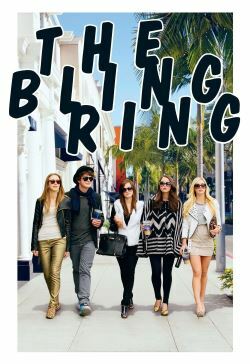 The gang became known in the media as 'The Bling Ring'. Written and directed by Oscar winning Sofia Coppola (Lost in Translation , The Virgin Suicides, Marie Antoinette ), The Bling Ring stars Emma Watson (Harry Potter, The Perks of Being a Wallflower), Leslie Mann (This is 40, Knocked Up), Taissa Farmiga, Claire Julien, Israel Broussard and Katie Chang.